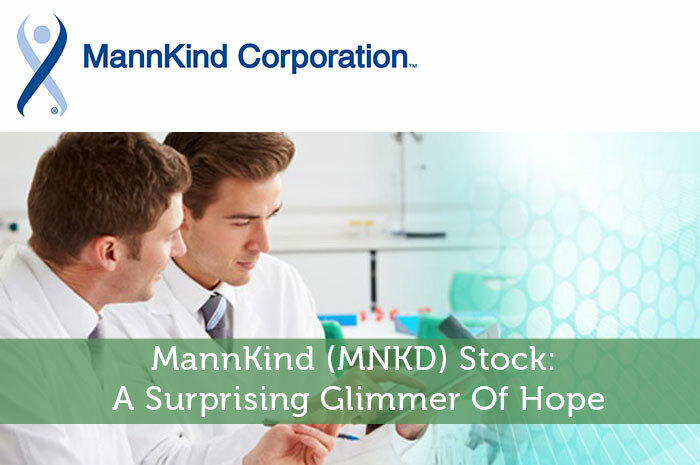 MannKind Corporation is having an incredible day in the market today, and for good reason. The company finally reached an agreement with Sanofi (SNY) surrounding the termination of the Afrezza agreement. At the end of the day, things turned out surprisingly positive for MNKD. Today, we’ll talk about the agreement, how the market reacted to the news, and what we can expect to see from the stock ahead. Sanofi Will Purchase Insulin – First and foremost, Sanofi has agreed to purchase Afrezza, quite a bit of it! In fact, the company will be purchasing $10.2 million of the product from MNKD by no later than December 3rd, 2016. Sanofi Will Make A Cash Payment – On top of the insulin purchase, it was also announced that SNY would be making a cash payment to MannKind. The payment, totaling $30.6 million will be paid within no more than 60 days. Debt Forgiven – Finally, MNKD previously had a debt obligation to SNY in the amount of $0.5 million. This debt has been forgiven under the terms of the new agreement. As investors, one of the first things that we learn is that the news moves the market. Any time positive news is released with regard to a publicly traded company, we can expect to see gains in the value of the stock associated with that company. The opposite happens when the news is negative. The news released today was much needed and overwhelmingly positive. With the money from this agreement, the company may have everything it needs to get through the current rough patch. As a result, MNKD is climbing in the market. Currently (11:59), the stock is trading at $0.63 per share after a gain of $0.17 per share or 35.61% thus far today. Moving forward, I have a relatively mixed opinion of what we can expect to see from MannKind Corporation. Don’t get me wrong, I love the product the company offers. I’m also incredibly impressed with the new Sanofi deal and what it can do for the company’s ability to balance its finances. This is all good. However, historically, MNKD has shown a fundamental lack of ability to actually sell an incredible product. Without sales, a company has nothing. While the deal will buy MNKD the time it needs and the marketing it needs to really bring Afrezza into the limelight, I’m not sure they will actually do that. Only time will tell. Where do you think MNKD is headed moving forward? Join the discussion in the comments below!